Over the years I've become known as an "Africa guy." Yes, I've been there a lot, but over the last 40 years I probably haven't been nearly as focused on Africa as you might think. I saw Alaska first back in 1975. Since then I've hunted Alaska 15 times, pretty much top to bottom and east to west, including most game. I've hunted Alaska both guided and unguided, by boat, horseback, and on foot. Every experience there has been amazing. It's true that I've done many more hunts in Africa, but let's make a fair comparison. Alaska, though huge, is one of our 50 states. Africa is a massive continent containing more than 50 sovereign countries, several of which are larger than Alaska. Less than half are open to hunting, but I've hunted 18 different African countries. Some I've hunted numerous times — but I've hunted no single African country as many times as Alaska. So let's try to make a fair comparison, Alaska versus Africa as objectively as possible, using the following criteria: hunting traditions, wildlife, scenery, climate, challenge, affordability. I've ranked each on a scale of one to 10 with a possible total of 60. "Africana" literature was well-developed in the 19th and 20th Century. These included not just the early explorers, but significant writers such as: Roosevelt, Hemingway, and Ruark. Alaska was colonized by the Russians, thus was virtually unknown to the English-speaking world until it was purchased in 1867. Since then Alaska and Alaskan hunting has received a significant amount of literary effort, but nothing on the scale of Africa. Hunting traditions, of course, aren't just about reading. The East African Professional Hunters Association was lost with the closing of Kenya, but under Philip Percival's long leadership they established the credo, ethics, and ethos that essentially defined the role of the African professional hunter (PH). In some countries these traditions continue and certainly are fostered by today's African Professional Hunters Association. Unfortunately, with some 20 African countries offering some form of legalized hunting, the rules regarding obtaining a professional hunter's license vary considerably. Lengthy apprenticeship and licensing procedures remain rigid in Zimbabwe and Namibia, but are fairly lax in some countries. So, regrettably, there is no assurance that all modern African PHs have the qualifications and sense of tradition of old. Alaska has a great advantage in that it falls under the North American model of wildlife management, with our complex, but effective game laws. 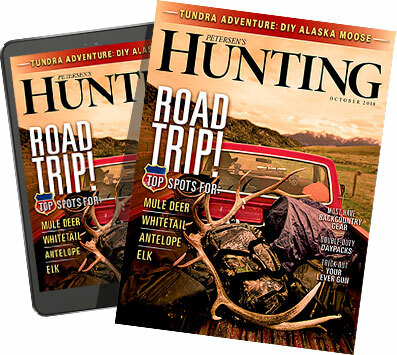 The Alaskan Professional Hunters Association works closely with the game department, and together they set fairly rigid requirements for licensed Alaskan hunting guides. There are basically three tiers: assistant guide, registered guide, and alaskan master guide, requiring not only qualifications and references, but years in the field. This doesn't mean that a fledgling assistant guide may not produce a new world record, or that veteran master guides won't turn rogue. But it does mean that there is a defined system in place based on laws, with the intent not only to keep nonresident pilgrims safe, but also to manage the resource and maintain Alaska's hunting tradition. Figuring races and subspecies, there are more than 100 varieties of antelope alone in Africa. Then figure in the dangerous game, pigs and zebras, plus a plethora of small predators and more. Alaska offers Dall sheep, moose, caribou, Sitka blacktail, grizzly, Alaskan brown bear, and black bear, along with limited opportunities for Roosevelt's elk, musk oxen, and bison. And, of course, there are wolves and smaller furbearers. But Africa is a big place. No single African country has 100 varieties of big game, nor even half that. There are a few places that might hold 20-odd species, but most will be limited to a dozen. Similarly, no area in Alaska offers the potential to hunt more than four species at the same time. So any way you slice it, Africa wins on variety. However, most of us reading these lines are North American hunters. We may dream of hunting Cape buffalo and probably know what sable, impala, and kudu look like. But do we dream of hunting tsessebe, bohor reedbuck, suni, or 90-several other obscure African antelope? Alaska is a long way from the Lower 48, but we're aware of the mystique of the Alaskan brown bear. We know the Yukon moose is the world's largest antlered animal. We know what the curls of a Dall sheep. While many dare to dream of Africa and thousands make those dreams come true, I suspect more dream of hunting Alaska. In the end, Africa wins based on variety, but not by much. Africa has it all, from deserts to mountains to forests, swamps, and plains. Some of it is beautiful, but much of it is not. The wildlife makes it interesting, but much of Africa, where most safaris are conducted today, is a sea of thornbush, with dramatic vistas uncommon. Alaska is magnificent wilderness. From the primeval forests of the Southeast to the tundras of the North Slope — with all the mountains and valleys in between, this one is a no-brainer. The Alaskan landscape is incredible. I've nearly frozen to death on a winter's morning in Southern Africa, and both spring and fall weather can be glorious in Alaska. But at any time of year Alaskan weather is treacherous and unpredictable. Whether hot or cold, wet or dry, you simply prepare and dress accordingly, but there is a climatic factor in Alaska that is rarely present in Africa. In Africa it is very unusual to lose hunting days to weather. In Alaska it's simply part of the deal. On most hunts there will be days when you're stuck in your tent, hoping the weather clears. This is why even single-species Alaskan hunts are usually somewhat longer. You need time as a hedge against weather that may be downright dangerous. In general, African hunting is much easier than Alaskan hunting. But this is not universal. Most elephant hunting requires a lot of walking. All forest hunting is extremely challenging. And African mountains can be just as steep as those in Alaska. On average, however, Alaskan hunting is more difficult. Game densities are much lower, and weather is a factor. Most African safaris are not only guided, but outfitted from comfortable, well-staffed camps. In Alaska it is possible to mount a do-it-yourself hunt, but clearly such a trip presents a major challenge. Even on a fully guided hunt it is generally just you and your guide. Maybe you'll have a packer, and if there are multiple hunters you might have a camp cook, but thats about it. In Alaska you will not have a robust staff. Your laundry will not be done daily. You probably won't have a real shower or a flush toilet. If there's work to be done, such as packing meat, fleshing hides, and chopping firewood, on a guided hunt you either pitch in and get it done so the hunt can continue, or you can wait until your overworked guide gets it done. On an unguided hunt, well, you're on your own. For me, challenge is positive, so all Alaskan hunts get positive points, and an Alaskan trophy taken unguided ranks as a major achievement. Alaskan hunting is costly. This is partly because wilderness increases the costs of logistics and transportation. Even unguided hunts are fairly pricey because you have to fly in and out by air taxi. Guided hunts have escalated dramatically. The value of a good guided moose hunt is shocking. A Dall sheep hunt in Alaska remains the least expensive North American sheep hunt, but I never thought I would see the Dall sheep reach today's price level. For sure, I never thought brown bear hunts would ever be as expensive as they are today. A plains game hunt in Namibia probably costs about the same as an unguided moose/caribou hunt. Some Cape buffalo hunts are less than Dall sheep hunts, and you can hunt a significant African mixed bag — buffalo, leopard, plains game — for about the same as a brown bear hunt. A plains game hunt in Southern Africa is the best bargain in the world&apos;¦but if you dream of Alaska, you better save a few more pennies. On my scale, Alaska wins. But here is what's important: It shouldn't matter how I rate the two. How would you rate them? And then orchestrate your own dreams and make your own plans!